You are not going to believe this...it's spitting snow outside! I think planting SNOW PEAS yesterday was a bad idea. And tonight it's going to get down into the teens. Crazy weather! Oh well it could be 100 degrees and humid. 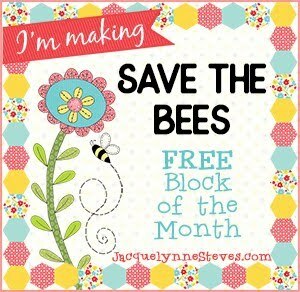 Since it's just far to cold for this ole gal to do any planting I'm cutting up scraps for the Podunk Posy blocks. Scrappy quilts are a lot of work if you're working from oddball shapes and sizes of fabric. That ziplock baggie may not be big enough for the tiny scraps by the time I get done cutting. Do you separate your scraps by size? I sorta do, each color has a bin. In each bin is a baggy for anything less than 2.5" wide. It can be 10 inches long but if the width is less than 2.5" it goes in the bag. Then I've a small stack in the drawer of small odd ball pieces 2.5" and larger. In the back of the drawer is the foldable fat quarters and smaller. It's a messy process, and I'm trying to be organized. And that my friends is why you aren't getting a picture of my floor. Even with that little bucket(pic above) for a table top trash can the scraps keep finding their way to the floor. Eleanor Burns ain't got nothin' on this fabric flying gal. I beginning to think the only way to stop me from throw tidbits of fabric on the floor is to wear a dog shock color that's motion censored. Oh well it's not like Martha Stewart or Better Homes and Gardens are coming anytime soon. Although we do have a lot in common. 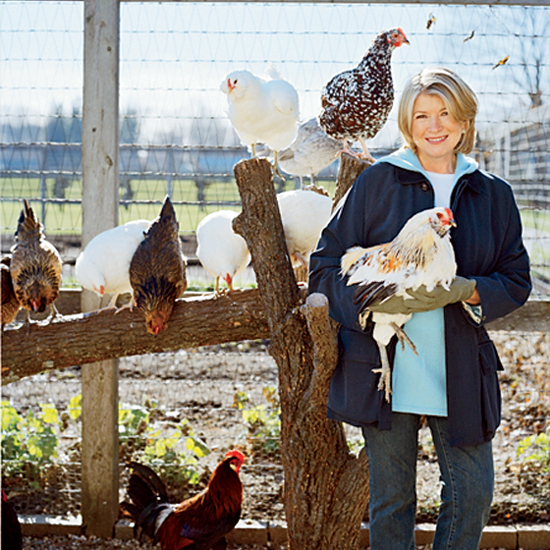 Did you know Martha raises chickens? Here's a video about her chickens. Every time we pick up a chicken it Poo's, I don't see any Poo on Martha! Martha's chickens DON'T poo as that would not be "A Good Thing"...you know that. 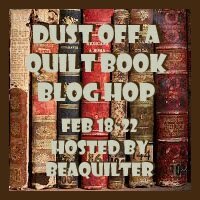 :) I totally agree with you about scrap quilts...the mess that ends up on the floor is unbelievable, and the scrap bags/baggies just get fuller. But is there anything more fun? I think not. Too funny!! Thanks for the chuckle! You're so much more organized than I am. I'm lucky to have my scraps divided into dark and light! I sure do love this quilt, Lea Anne. I definitely want to make one. Right now, I'm making a wristlet-type purse and not enjoying it. I don't think the chickens dare to poo on Martha--they may end up as dinner. A couple of weeks back, my dog was poorly and sick. Whilst mopping up, I spotted STARS, yes she had eaten stringy offcuts of star fabric AND batting! out of the bin in my sewing room. I make sure to put something over the top when I leave the room now. She is 14 next week and I wonder if she is going a little batty! I have to be careful with my tiny strings, my cats like to play with them! With that said, My floor and cutting table are pretty bad.